Join me in welcoming Anna Lee Huber to the blog today, to chat with us about setting--and how you can use a simple technique to make yours come alive. Anna Lee Huber is the award-winning author of the Lady Darby historical mystery series. Her debut, The Anatomist’s Wife, has won and been nominated for numerous awards, including two 2013 RITA® Awards and a 2013 Daphne du Maurier Award. 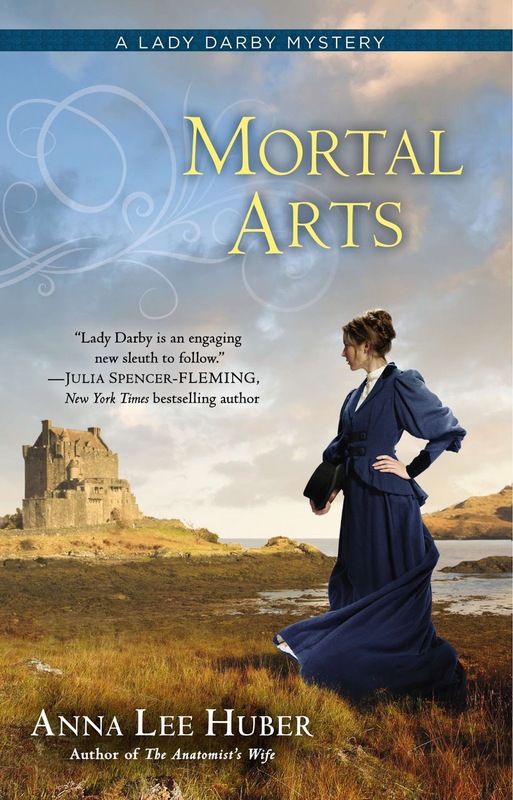 Her second novel, Mortal Arts, released this week. She was born and raised in a small town in Ohio, and graduated from Lipscomb University in Nashville, TN with a degree in music and a minor in psychology. 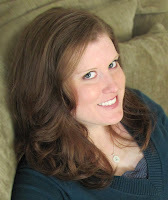 She currently lives in Indiana, and enjoys reading, singing, traveling and spending time with her family. Visit her at www.annaleehuber.com. I’m often asked how I’m able to capture my settings so vividly. They want to know whether I’ve walked where my characters have trod, if I employ a specific devise. While it’s true that I have visited Scotland, the Highlands and the Lowlands, and that has been invaluably helpful, for me the most important thing about setting is how it affects my characters. No location is the same for everyone. Take two people and place them in the same setting at the same time and then ask them to write about it. I guarantee you will be given two different sets of impressions. One person may describe the lay of the land, the way the creek zigzags crookedly through the wood, while the other will tell you how it reminds you of the forest near their grandmother’s house, where they played as a child. Setting is lifeless without the filter of the narrator. They are what make it interesting. You can spend three pages describing a room with absolute thoroughness, but a single paragraph depicting your narrator’s reaction to the room, the few individual things he or she chooses to notice, will tell us infinitely more. It gives us an immediacy that bland lines of cataloging inventory cannot. And it gives us insight into their character, as well as the owner of the space they’ve entered. Our host was the first to see us, crossing the room to take my hand in greeting. And try as I might to focus solely on Michael’s words, I found my gaze wandering over his shoulder to one of the five intricately woven tapestries displayed on the creamy walls. They had obviously been designed and crafted with much skill. My fingers itched to trace the threads. We learn that the room is decorated with beautiful tapestries, but more importantly we learn about Kiera. How important art is to her, perhaps to the exclusion of human interaction, though she is not unaware of her rudeness, just incapable of helping it. The mood of the narrator also has a strong influence in how we view a setting. Kiera is already frightened and pensive when she and Will exit the roof of the old castle and begin their climb back down, and anxious to escape the rain. If I had thought the castle was dark before, it was black as pitch now. If felt like we were descending into an abyss, into a chasm of nothingness, and soon the stairs and walls and everything solid around us would drop away, tumbling us into the void. My hand fisted in the silken material of Will’s waistcoat, anxious that at least he remain with me. The rain drummed against the stone with soft thuds, picking up speed as we slowly inched our way downward. The damp intensified the stench of mold and mildew until it was almost cloying in its intensity, as if the walls themselves were nothing but slime and moss. I avoided touching them as before, grateful for Will’s solid back at my front. The gust of the wind across my shoulders blown down the stairwell from above made me shiver and squirm, worried some large insect had crawled across me. Would the castle seem so terrifying if Kiera wasn’t already upset by the revelations made on the roof before this scene? If it were bright and sunny instead of dark and raining, would it appear more friendly? In this last example, I would like to show how careful description can also tell us much about the person whose items are being described, as well as the narrator who is describing it. When Kiera and Mr. Gage visit Mrs. McCray to ask her about a missing girl, she invites them into her home. We followed her through the door, ducking our heads so as not to smack them on the low lintel. She offered us a seat at the scarred, wooden table at the center of her kitchen and then turned to the great stone fireplace to swing a kettle over the fire. The room was worn, but cozy and clean. I cringed at the sight of our footprints on her otherwise spotless flagstone floor. She reached up high inside a cabinet and pulled out a lovely china teapot and three cups. I could tell from her handling of them that they were cherished possessions, quite possibly the nicest things she owned, and only brought out for special company. She set the tea things on the table and began spooning some of the precious leaves inside the pot. When the kettle whistled, she was ready for it. We learn so much about Mrs. McCray in just these few short paragraphs. We know she’s from a lower class, and that she has few nice things, but she takes pride in what she does own. She clearly recognizes Kiera and Gage as being from a higher social class, and also possibly wishes to make a favorable impression with her tea set. We also realize that Kiera is conscious of the social divide, and sensitive to the fact that they are making more work for the woman by trampling dirt onto her clean floor. No other details are necessary for readers to feel drawn into the space, In fact, too many more could simply bog down the story. So next time you find yourself struggling with your setting, ask yourself if you’re firmly behind your narrator’s lens. Are you seeing the world as they would, or relying too much on extraneous details? I promise it will make all the difference. I've been taught to use my character's voice for description, but somehow, I never remember to let his current mood affect what he sees as well. Thanks, Anna! Also, I LOVE the name Sebastian Gage. Setting is one of the hardest things for me to write. I tend to have too little or overly wordy. Great examples here. Like Jaleh D above, I also find setting much harder than plot or character. I can never seem to find the right balance between not enough and too wordy, and I have a feeling my writing partners are being too nice in trying to convince me it's fine. It's not so much finishing original descriptions and staying away from cliches, it's really how much to write that gets to me. I think this will help though! My character loves to read, so I'll make sure she notices the book shelves first in edits. Thanks for the post! Setting is something that I struggle with. I know that I have come a long way since I was a beginning author, and just about all of my writing was dialogue, but I still don't feel like I'm quite "there". This is helpful. I'll be sure to go back through my WIP to make sure I am describing setting through the lens of my protagonist. great post, one that my writing students will learn from. Thanks! Very helpful insight. I'm trying my hands on writing prose. What I really have been writing is poetry. Thanks you.